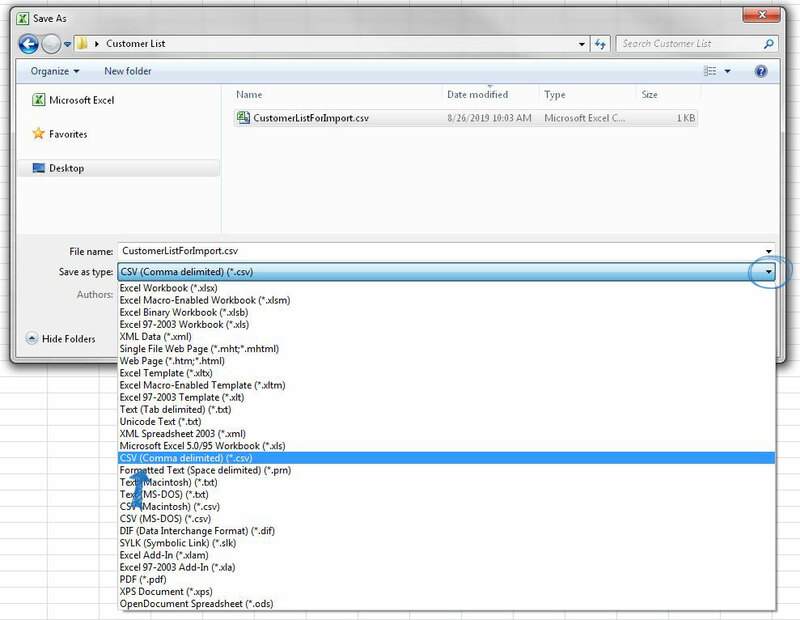 When working with files containing many files, it is important to note the available fields for companies and contacts in CRM prior to importing. To view the fields available for companies, click on the CRM tab in ESP and then click on the Add button. To view the fields available for contacts, click on the CRM tab and then click on Contacts from the toolbar. Then, click on the Add button. For example, if a column within the data sheet is for "Market", it can be mapped to the Notes field within CRM. The heading on the data columns should distinguish the type of information that is contained within the column. For example, if the file contains company contact information, use "company" in front of the type of data, such as "company address" or "company zip". Doing so enables the ESP CRM system to better identify between company and contact demographics. Put contact first names in one column and their last names in a separate one. If the data contains full names within a single column, you will need to separate the name into two columns. 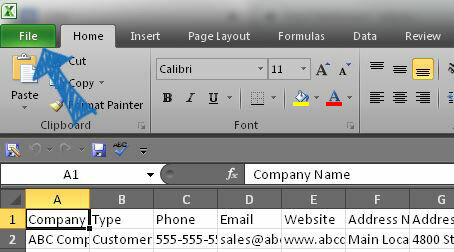 To save a spreadsheet as a .CSV file, click on the File tab. Use the "Save as type" dropdown to select "CSV (MS-DOS) (*.csv)".